Christmas is the perfect opportunity to reward your best customers and build loyalty that will put your business on a strong footing for the New Year. 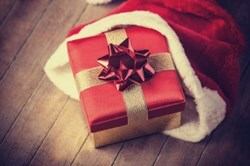 As entrepreneurs and small business owners scramble to make the most of their last minute Christmas sales, Predictable Profits founder, Charles Gaudet, today cautioned small business owners against thinking only in terms of “Xmas Discounts.” Gaudet says that reducing prices may boost short-term sales, but may impact longer-term growth. Gaudet says that customers are driven to look for something new and exciting. Using special occasions, like Christmas, to create a new and exciting marketing strategy gives entrepreneurs the ability to offer a memorable experience. WestJet offered the opportunity for passengers to ask Santa what they wanted for Christmas. Once the requests were collected, a team of 150 WestJet staff located each of the desired gifts and surprised their passengers with their gift at baggage claim upon their arrival. The best part is not that the company is giving away presents… it’s that WestJet is rewarding their most valuable asset: the customers. Instead of giving loyal customers a discount, consider a voucher. This may be a gift card once a certain amount of money has been spent. Instead of sending customers the generic, pre-printed cards that most businesses send out over Christmas, consider sending your best customers a special, personalized message or gift to let them know how much you appreciate them. “Christmas is the perfect opportunity to reward your best customers and build loyalty that will put your business on a strong footing for the New Year,” says Gaudet. ABOUT CHARLES GAUDET: Known as “The Entrepreneur’s Marketing Champion,” Charles E. Gaudet II offers more than just business and marketing advice – he helps entrepreneurs push beyond what is considered “ordinary” to build great companies. His advice has appeared in worldwide media such as Business, Inc. and Business Insider. He’s a writer, speaker, marketing consultant, business coach, and publisher of the popular Predictable Profits Insiders’ Club newsletter. Follow him on twitter at http://Twitter.com/CharlesGaudet. ABOUT PREDICTABLE PROFITS: Predictable Profits is a leading small business marketing coach and consultancy. The company specializes in finding overlooked marketing opportunities commonly found in most small-to-medium sized businesses, and creating actionable marketing strategies for increasing a company's profits. You can read more about Predictable Profits by visiting the company's website at http://www.PredictableProfits.com.